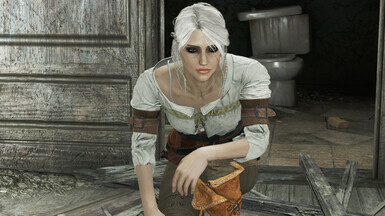 A LooksMenu preset to make the player look like Ciri from The Witcher 3. 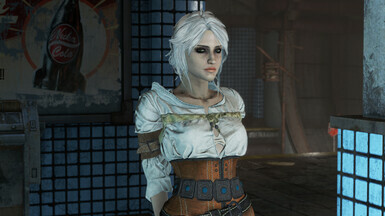 IMPORTANT: requires the "Extended Facial Sculpting" mod. 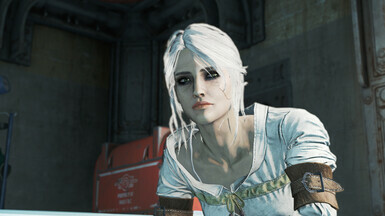 Extended Facial Sculpting - now with 90 percent less beta Extra required face morphs (don't forget this one). 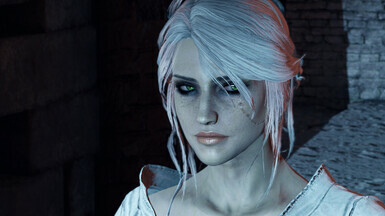 Looks Menu Customization Compendium For Ciri's makeup, scar, eyebrows, and hair color. 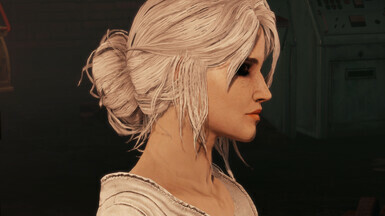 Ponytail Hairstyles by Azar v2.5a For Ciri's hair bun. 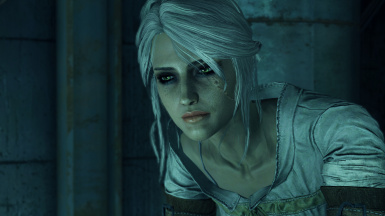 The Eyes Of Beauty Fallout Edition For Ciri's green eyes. Fallout 4 Script Extender (F4SE) Needed to use LooksMenu. 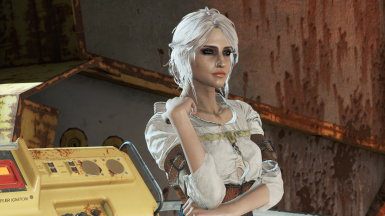 This is my attempt to make the player look like Ciri from The Witcher 3. 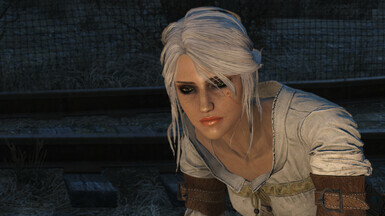 This LooksMenu preset REQUIRES the Extended Facial Sculpting mod to work properly, in addition to LooksMenu itself. Without the extended sculpting, your character will look very strange...trust me I've tried it. 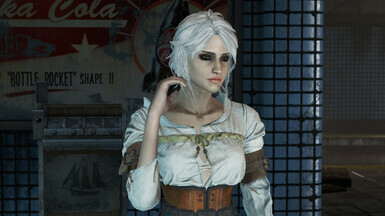 Fallout 4 Script Extender (F4SE)﻿ to run LooksMenu. LooksMenu﻿ to load the preset. 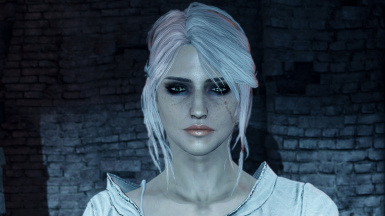 Looks Menu Customization Compendium﻿ for the makeup, scar, eyebrows, and hair color. 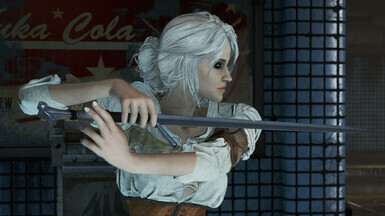 You might need the "HD DLC fix" optional file as well. Ponytail Hairstyles by Azar﻿ for the hair bun. The Eyes of Beauty﻿ for the green eyes. 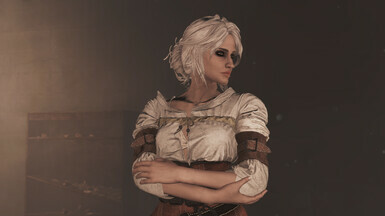 Ciri Battle Gear﻿, which is the main outfit in the screenshots. 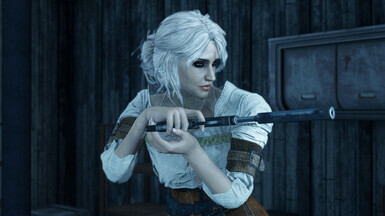 Regent - Standalone Sword﻿, the closest FO4 sword I've seen to a sword from TW3. 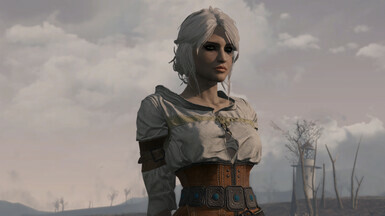 After installing the required mods, use Nexus Mod Manager to install "Ciri by Korlando.json" to the LooksMenu presets folder. 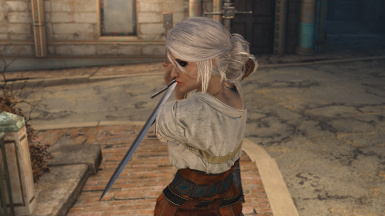 Run the game using the F4SE launcher, hit ﻿~ to open the console, and enter slm 14 to open the looksmenu on your (presumably female) character. You can also open the looksmenu on other characters with slm <id>, where <id> is the RefID of the character (displayed when you click on someone with the console open). Click the "Presets" option on the left. If it's greyed out, you probably aren't running the game through the F4SE launcher. 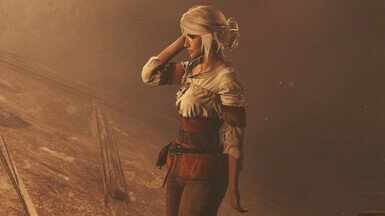 Click the "Ciri by Korlando" preset from the list to apply it. I worked on this preset with the high-res texture pack enabled (because I play in 4K), so I have no idea what it looks like with normal textures. 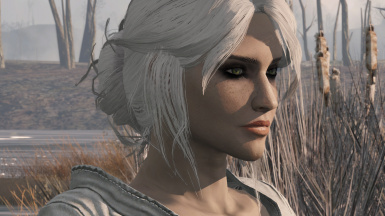 The preset should work on other female characters besides the player, but with a caveat. 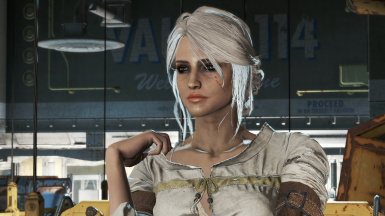 For example, when applied to Piper, her face might look malformed the next time you boot up the game. This can be fixed by simply applying the preset again in the looksmenu. 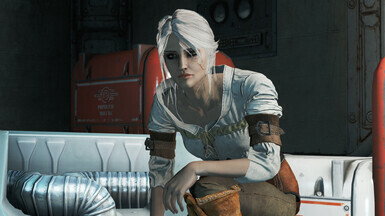 No, the preset doesn't look exactly like Ciri...especially under certain lighting conditions. I took screenshots with more ideal lighting, so it's cheating a little bit. 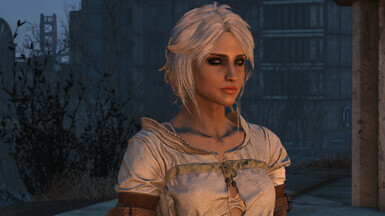 Yes, there are already plenty of other Ciri mods for FO4. Mine isn't necessarily better, it's just a different interpretation. Feel free to improve it and re-upload; I decided to stop tweaking at this point to avoid being driven to madness.